I'm learning assembly programing with fasm and i read many differents tutos pdf and see videos. This instruction exist on fasm ? This instruction exist on fasm ? 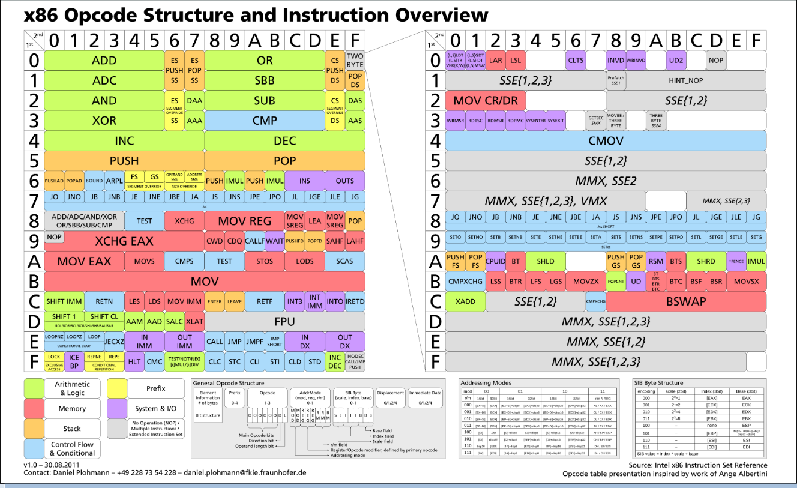 - all of existed instruction mnemonics (for x86? x86-64) are realized in fasm, so no one of them you havent to do via data definition directives, like it could be in other assemblers. All existed fasm instructions - are same as all existed intel(AMD) instructions. Fasm has no specifiic processor instructions. But everithing what not existed in fasm could be realized via macros - but macros are not instructions. macros could represent one instruction and be synonim of instruction. Or they could have numerous of instructions or even no one. In the Intel manuals they are grouped in Jcc. Other's have had the same problem locating them. In general, however, the Intel manuals should be the first source of information. Refer to fasm's manual only to find out if it uses syntax variants different from the Intel standard. Is there something similar for arm architecture? Mikl___: thank you! 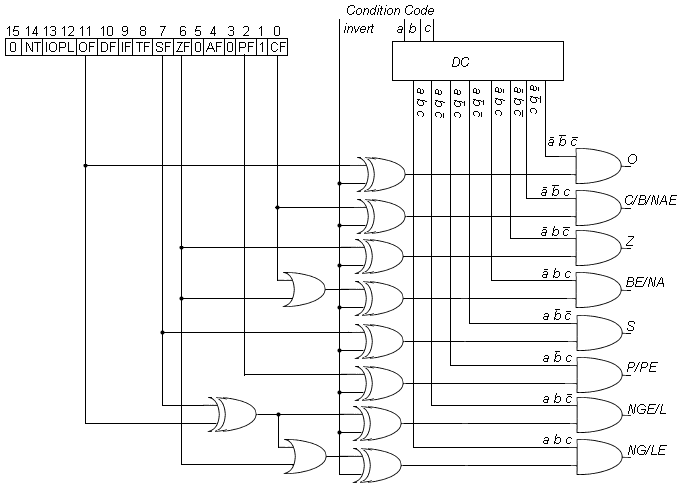 This schematic is kind of beautiful when you know what's going on.